A few weeks ago I posted about a small farm house I found a few miles north of that on. 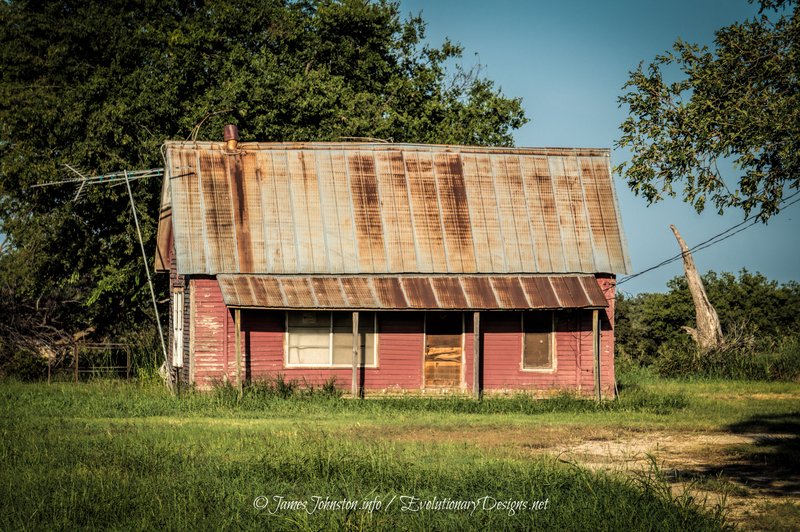 This week, I wanted to share with you a cute little abandoned pink farm house near St Jo, Texas south of Illinois Bend, Texas. The abandoned pink farm house is in fairly good shape from the outside. It looks old around a 100 years old if not older. This is a design you tend to see used by small farmers and ranchers. Many of these old houses were torn down in the last twenty or thirty years when the family grew larger or new family took ownership of the land. Its surprising to see this old house still standing and its sad to see it being ignored. This would be a great weekend ranch house or even a hunting shack. In reality, this pink house was probably some shade of red and faded over time. Since the house was abandoned, the house continued to fade as it was forgotten. At least from the front, it looks to be in good shape. The sides are ok. but once again, the addition is in rough shape. But its better than most I find. As to the history of this old abandoned pink farm house, I can’t find anything on it. If you know anything about the this old farm house, please contact us. we are always looking to add the history to each of the abandoned places added on this site. Please Note: This article was originally on September 25th, 2014 and will not be updated. This article has been modified and will continue to be updated as more images are found and information about this old farm house is found. It was then posted to VanishingTexas.com on January 26th, 2016. That site is no longer affiliated with us. All content from that site is slowly being migrated and updated to this site. All photos featured in this article were taken in April 2015 unless noted. This article will continue to be updated as new information is added. This is a cute little house and the pink color only gives it character. 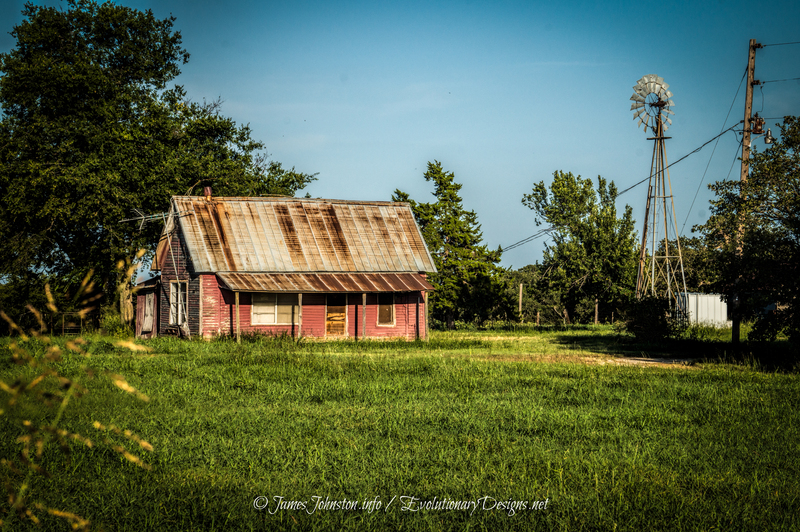 Adding to its character is the windmill next to the house patiently waiting to serve its owners. I shot the house with my Sony Nex-3N and Sony SEL55210mm 4.5-6.3 OSS Lens, then processed it with Adobe Lightroom to crop, straightened, and remove dust spots from the image. Then I post processed the image with Topaz Labs Clarity to add more texture, remove shadows, boost brightness and contrast. I then used Topaz DeNoise to remove noise from the image.